High blood pressure has become known as the silent killer due to the relatively few unique symptoms for the condition. Blood pressure is the force that the heart pumps blood, which is normally measured through the arteries of the arm. If the heart is pumping with too much force, it is known as high blood pressure. Most people will never be able to recognize the signs of high blood pressure on their own, and will normally discover their condition once they get a proper reading. In certain cases, where the signs of high blood pressure are severe, the person may have had hypertension for an extended period of time without having it detected by a medical professional. 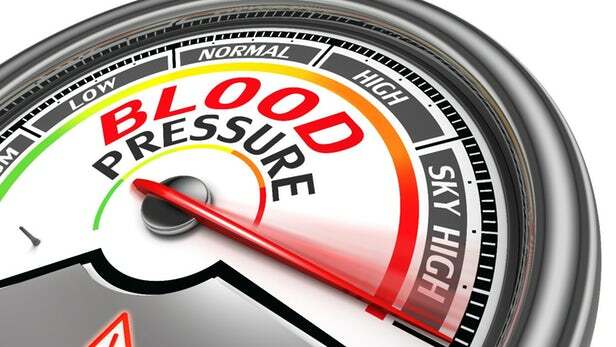 In most cases, high blood pressure can be managed through lifestyle adjustment and medication. These are designed to help lower a person’s blood pressure back down to a normal level. Even though many of the signs of high blood pressure are common, and typically the same as with many other medical conditions, they should not be ignored. If these symptoms do develop, then you should be seeking medical counsel regardless. While these are the common symptoms of a basic cold or virus, many people, including doctors, will not immediately relate them to high blood pressure. These symptoms will also not develop in all people, leaving many to rely only on the standard blood pressure readings. If high blood pressure is not detected in its early stages, the sign of high blood pressure can become more severe, and potentially live threatening. The majority of patients will discover they have high blood pressure once they begin to experience some of these more severe symptoms. Optical Issue, i.e. loss of vision, temporary blindness, tracers, visual hallucinations. While many of these signs are actually consequences of the condition, and can be severe once they develop. In cases of severe hypertension developing, where the diastolic number reaches a level of 140 mm Hg and up, people have been known to experience sudden fainting spells, nausea, light-headedness, and the sudden development of a severe headache. These signs of high blood pressure require immediate medical treatment to prevent strokes, heart attacks, and hemorrhages. This will require hospitalization. Since many people do not go to the doctor as often as they should, high blood pressure often goes undetected until serious complications from the condition develop. After the age of 20, every person should have a blood pressure reading annually to help prevents the serious signs of high blood pressure from developing. This does not mean you will need to see a doctor. Blood pressure readings are often given for free at select pharmacies and other health care clinics, and can be done at a more affordable rate than paying for an entire doctor visit.